Matt's Special at Roma Imports. Tucson is full of sandwich shops, each with their own creations, but two of those delicious flavor combinations have made it onto a sandwich bucket list. Only in Your State, a website that curates restaurants across the country, decided earlier this week that Tucson deserves two sandwiches on the list of eight in Arizona that must be tried before you die. 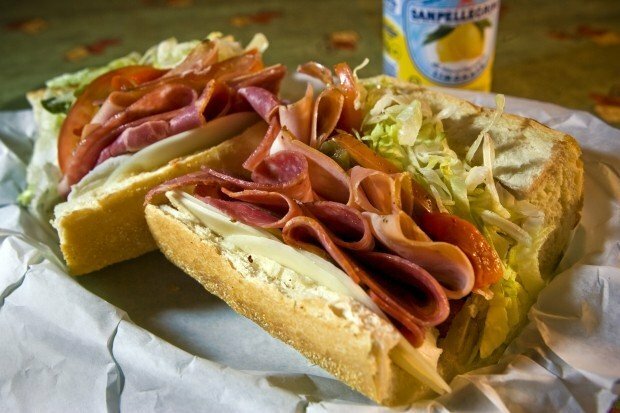 "Truth be told, all these sandwiches are good but nothing quite beats the Matt's Special" at Roma Imports, 627 S. Vine Ave., the article says, calling the Italian sub "simple yet flavorful." A little further down the list is the Everything Reuben at any of Beyond Bread's three locations. The article says that the pretzel bun, Russian dressing and tasty vinegar slaw is the perfect fix if your day isn't living up to expectations. What's your favorite sandwich in Tucson? Tell us in the comments. Tate becomes the first player to earn three consecutive Pac-12 Offensive Player of the Week nods since 1988.